Nanotechnology is a new approach to solve problems and create new ideas which can be applied in pharmaceutical industry. Nanotechnology in pharmaceuticals result in moving the industry from blockbuster drug model to personalized medicine. 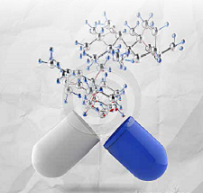 There are compelling applications in pharmaceutical industry where inexpensive nanotechnology tools can be utilized. The review explores the possibility of categorizing various nanotechnology approaches to meet the requirements in pharmaceutical R&D. Applications of Nanotechnology are as follows Health and Medicine, Electronics, Transportation, Energy and Environment, Space exploration and many more. Edelweiss Nanomaterial chemistry and technology journal is a scholarly journal that aims to publish most complete and reliable source of information on the findings and current developments in the form of original Research, Review, Opinion articles, Case reports, Mini review, Short communication. Edelweiss Nanomaterial chemistry and technology Journal publishes manuscripts on Nano pharmaceutical chemistry.